Karla Bonoff is arguably best known for having several of her songs covered by Linda Ronstadt, including “Someone to Lay Down Beside Me,” “Lose Again” and “If He’s Ever Near” from Ronstadt’s 1976 album Hasten Down The Wind. 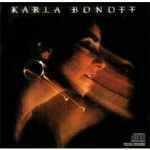 But to call Bonoff a “songwriter” doesn’t do justice to the fact that she has also released her own wonderful albums over the years, including her 1977 self-titled debut that included the aforementioned songs and had quite a cast of supporting musicians, plus the hit song “Personally”. Before her solo career, she was a member of the folk-rock group Bryndle. This interview was for a preview article for the concert by Bonoff and Jimmy Webb at the Lobero Theatre in Santa Barbara on 6/7/14. It was done by phone on 5/20/14. 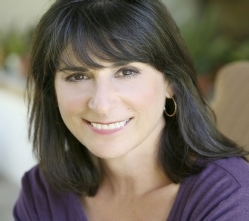 Karla Bonoff: I’m bringing a musician with me, Nina Gerber, who some people know. She’s played with me here before. She’s a wonderful guitarist from the Bay Area, pretty well-known up there. So we do the show together, the two of us. And I do music from all of my albums, going back to the late-70’s all the way up to doing some new songs. I play piano and guitar. It’s a pretty unplugged, acoustic style. Then Jimmy Webb does a long set, and we do one or two things together. JM: How long have you known Jimmy Webb? KB: Not that long. Of course I know his music really well. We went to Japan maybe a year and a half ago, and that’s how we really got to know each other. And we’ve just completed a ten day tour up in the Northwest, that I just got back from on Sunday. We’ve been doing quite a few shows together, actually. JM: Do you have a favorite Jimmy Webb song? KB: My favorite Jimmy Webb song is “Wichita Lineman”. There’s something sentimental about that one. 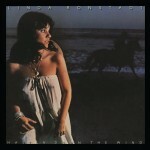 One of the ones I’m doing with Jimmy is a song called “Adios”, which I know from Linda Ronstadt covering it. That’s also one of my favorites. JM: So you guys didn’t cross paths back in the day in the L.A. music scene? KB: You know, we didn’t. I’m not quite sure why. He’s a little bit older than me, so he might have been in that generation that was just a little bit ahead of me. There were a bunch of different crowds in L.A., and they weren’t all one. It’s possible that he was floating around in kind of a parallel universe, I would suspect. JM: I am a bit jealous. You’ve talked about the various artists you saw at The Troubadour. It sounds like quite a time. KB: It really was. I don’t think we realized it then because we were living it, and in the middle of it, and young. But certainly, in retrospect, when you look at what group of artists was hanging out there and starting together, it’s pretty phenomenal, the percentage of all of those people who ended up being successful. It’s really kind of strange, actually, if you think about it. I think the music business was just very open then, and a lot was possible, and you could create your own future in a way that is more difficult now. We were just kind of on the cutting edge, I think in some ways, of the songwriter thing. I mean, obviously before me there was Carole King and Joni Mitchell and Laura Nyro, probably five to eight years before me. Those were my inspirations, and I think that I was in the next wave of that. It really was kind of the beginning of that. We were paving the way for a lot of what you hear on the radio today. JM: I’m a big fan of your first record. Could you give me some reflections on that particular album? KB: That was a culmination of about eight or nine years of writing for me, from the time I was probably 18 until I made that record. So it was a collection of the best stuff that I had compiled by that point. It was also a real special time for me and Kenny Edwards, who produced it. 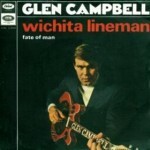 He’d been touring with Linda Ronstadt, and it was his first production. We were both new at it, and working in that studio The Sound Factory down in Los Angeles where Ronstadt had been making her records, and James Taylor and Jackson Browne and Warren Zevon. We were all working with the same engineers, so there was kind of a group of us doing that. I was lucky enough to have Don Henley and Glenn Frey and J.D. Souther sing on my album, and incredible musicians, you know Joe Walsh and Garth Hudson. So I was really able to draw on the best of what was out there. Who knew what was going to happen? 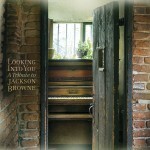 But that record came together wonderfully and I was able to go out on the road and open for Jackson Browne. It was a pretty special time for me. And also, Ronstadt had just maybe six months prior to that record coming out recorded a couple of my songs, so people knew who I was. In some ways that really gave me a leg up because the music had already been out there a little bit. JM: You mentioned Kenny Edwards, and I remember seeing him around town before he passed away. What did he bring to your music? KB: Oh, God… I met Kenny when when I was 16, and he and I, before I started working as a solo artist, were in a band called Bryndle. It was Wendy Waldman, Andrew Gold, Kenny, and myself. We made an album for A&M like in 1970, but we all grew up together writing and singing harmonies, and playing together. So he was really there from the very, very beginning of my musical songwriting career, and stayed involved in it pretty much as a producer, as a musician, as a touring musician, really up until the day that he got sick and went into the hospital. So forty years of us really being friends and playing music together. He lived here in the cottage on my property for over twelve years until he passed away. So it’s hard to even explain the contribution. It’s like he was a part of my family, really. 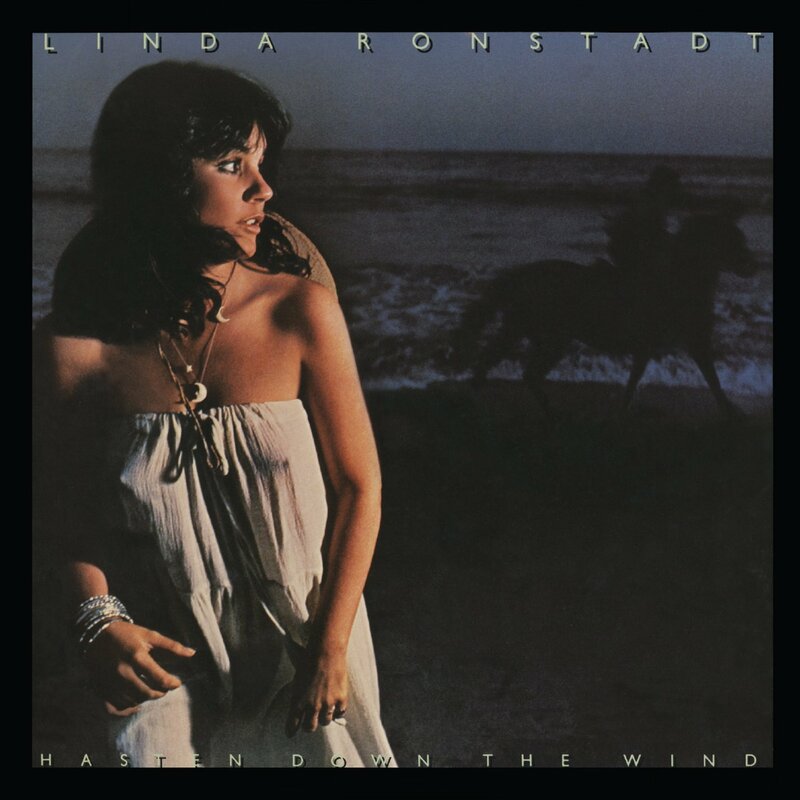 JM: You also mentioned Linda Ronstadt. Did you connect with her through Kenny? KB: Yeah, because Kenny was in the Stone Poneys with her in the late 60’s, and then later went back into her touring band in the mid 70’s. That is how I connected with her, because he’d be out on the road with her and he would maybe bring cassettes of my songs for her. That’s really how she ended up recording the first song of mine, through Kenny kind of pushing it to her. That was definitely the connection. But once again, we were all around The Troubadour in the late 60’s/early 70’s when that band Bryndle was out there performing, doing those Monday nights. Linda was around then, too. We were all kind of in that little world at the same time. JM: Do you stay in touch with Linda at all? KB: A little bit, yeah. Not a whole lot. She has been, as I’m sure you know, not doing well, so she’s been keeping a lower profile. But we do talk occasionally. JM: What advice would you give to an aspiring songwriter, or an aspiring musician? KB: You know, that’s such a hard question for me, because I think that the business is so completely different than it was then. But if you take the whole business part of it out… The art of songwriting? I would say to write something every day, and to get in the habit of being a writer. That was one of things I didn’t do, which I think would have made a huge difference, if I’d been more disciplined as a writer. I was not, and so I would let long periods of time go where I wouldn’t write. And I think that you just end up writing a lot less. So that would be my advice, to develop that habit of writing lyrics or music or something, even if it’s just a chord change, everyday. The business part, I just have no idea anymore. I don’t know how you do that. I came up in a time with big record labels and promotion departments and publicity departments, and tours that were supported. It’s just such a different animal today, I wouldn’t even know how to advise anybody. JM: That’s a common theme that I hear. It’s just so different now. KB: I think the the other thing is to get out and play. There really does seem to be more opportunity to do that than when I first started out. There really weren’t house concerts and little coffee houses and all those things that have sprung up, I think, kind of because of how the industry has changed. Unless you’re on these gigantic tours, there’s also this whole other element that has started. I think that’s cool, because people get a lot more opportunity to hone their performing skills. That was harder for us, because we had to do these Open Mic nights, and there were very few of those. You know, you weren’t likely to get hired anywhere in those days until you really had a record out. So I first learned to be a good performer being in front of 10,000 people opening for Jackson Browne. And that was scary. I think that part’s good. People can get out and play and network, and they can make their own CDs and sell them at their shows. We weren’t really able to do that. You had to get a record deal to record anything. So that’s the good side of that. You know, there’s good and bad. 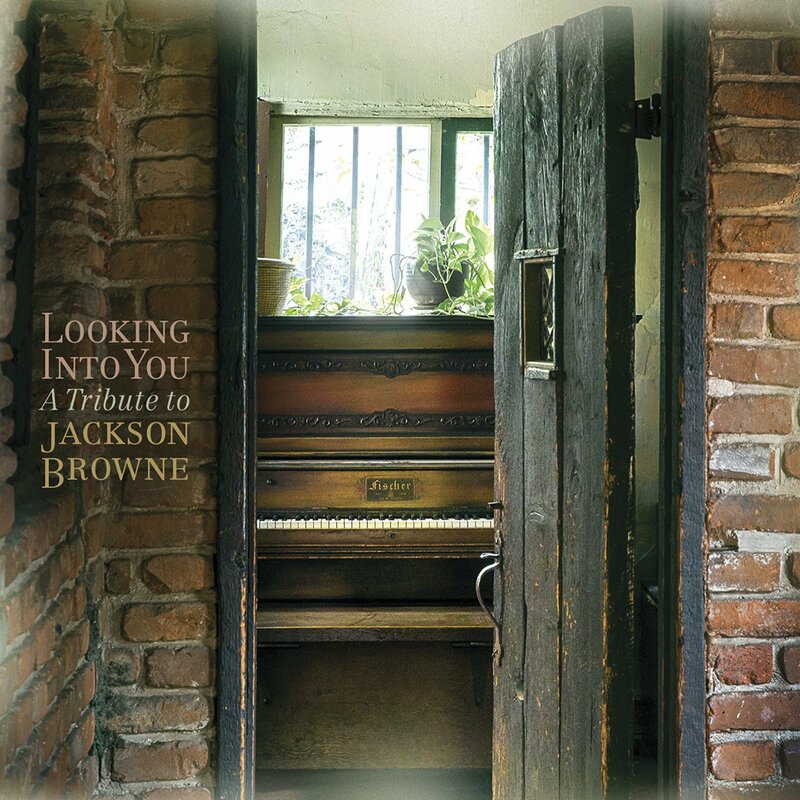 JM: Speaking of Jackson Browne, I see that you just recorded a song for the tribute album for him. Did you know him well back in the day? KB: Oh yeah, he was at The Troubadour at the same time I was. I was 16 and he was 19. He would get onstage and play us some brand new songs that he wrote that would be, like, “My Opening Farewell” or “Song for Adam”. I would hear those songs when they were brand new. So he was a huge influence on me, and also a great help, as I said, to my career. He put me on the road after my first album, and that just did so much for me, to reach all those people. It was a great pairing, and a really good tour. I have fans to this day that tell me that one of the most favorite shows they saw. JM: Do you want to set the record straight on anything about your career or something about the music scene? KB: I have a lot of people say to me, “I don’t understand why you aren’t more successful”, and “You should’ve been more”. I think what people don’t understand is that it depends on how hard you work at it, to some extent, and how ambitious you were. How many records you cranked out. I mean, I was, as I said before, not that disciplined. And I took a long time to write songs. It’s not like I was dealt a bad hand. I think you get dealt what you earn. I think, for me the problem was that I was interested in doing other things, gardening, hanging out with my pets. I wasn’t really driven, maybe, as someone else. That’s something I think that people probably don’t know. That I was lazy! JM: Well, it sounds like you enjoyed yourself. KB: I did! It wasn’t just music for me. I had other things going on. I still feel very fortunate that a lot of people recorded my songs. That makes a huge difference financially. So I’ve been able to make music all of my life, and have that be my primary job. I feel very lucky. I have nothing to complain about. KB: Touring is going on all the time. I’ve got two things things coming up, at the Lobero and Castoro Winery the night before. And then ongoing gigs. And I’m hoping to make another record if I can put a batch of songs together. And hanging out here in beautiful Santa Barbara, being happy here. JM: How long have you lived in Santa Barbara? KB: Gosh, it’s 17 years now. I moved up here in the late ’90’s, and I’ve been here ever since. I don’t know why I didn’t do it sooner. I should have.